A beautiful antique glass chemists advertising carboy. A stunning example which would have been filled with colourful liquid & graced a chemist window as part of an eye catching advertising display. 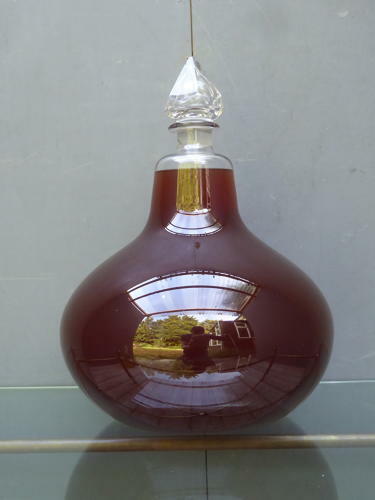 Hand blown, of exceptional & very unusual 'squat' form, retaining its original cut glass stopper. Wear commensurate with age, excellent overall.